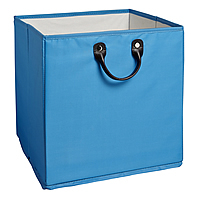 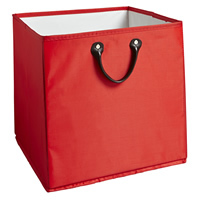 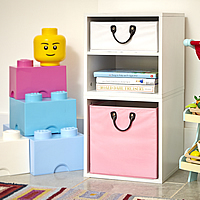 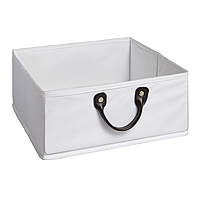 We love our new range of white wood modular storage cubes which can be used on there own or with our range of colourful baskets. 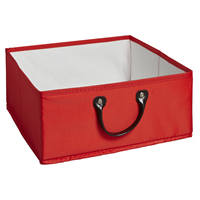 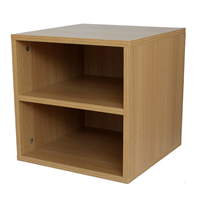 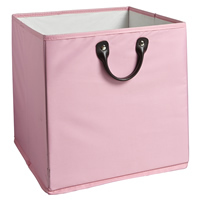 Each cube has a removable shelf (as shown below) giving you more flexibility when choosing how to use them. 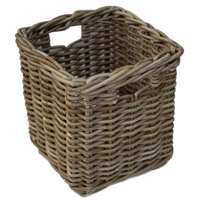 Why not add a large basket for tidying away toys, two small baskets for Lego and cars or how about not using any baskets at all and have books, games etc on display. 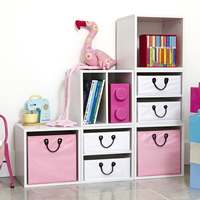 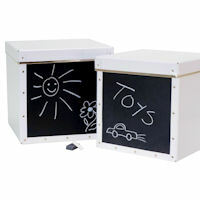 Our modular cubes can be used singularly or in any configuration you like to suit your storage needs and are a great addition to any playroom or living room for tidying away the kids toys at the end of the day. 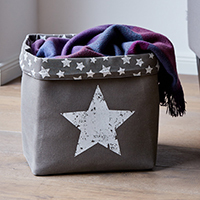 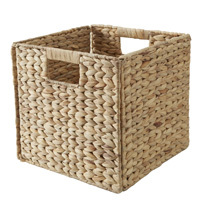 Some of our Chester STORE customers also suggest stacking two and adding a couple of storage baskets for a great bedside cabinet. 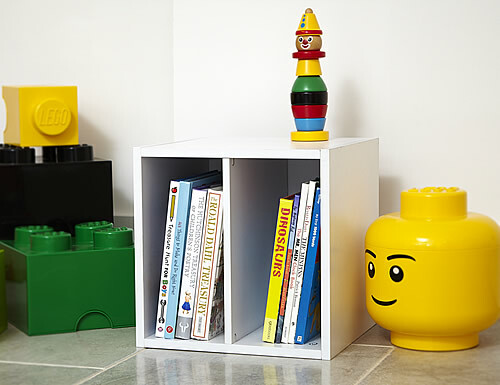 They're also great to fill in any unused awkward spaces such as under the stairs by staggering them. 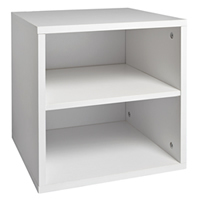 Please note that if using more than one cube then you need to secure these to each other with the fixings provided.